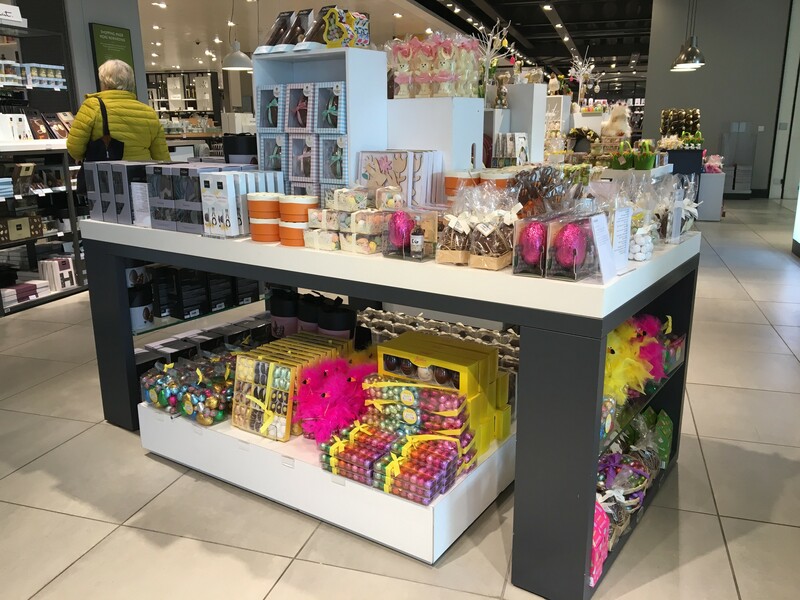 This post has been written in collaboration with John Lewis however all opinions are my own. The obvious choice to buy good quality decorations is John Lewis and I had no doubt there would be a nice display of tasteful decorations of which to choose from. I was right! 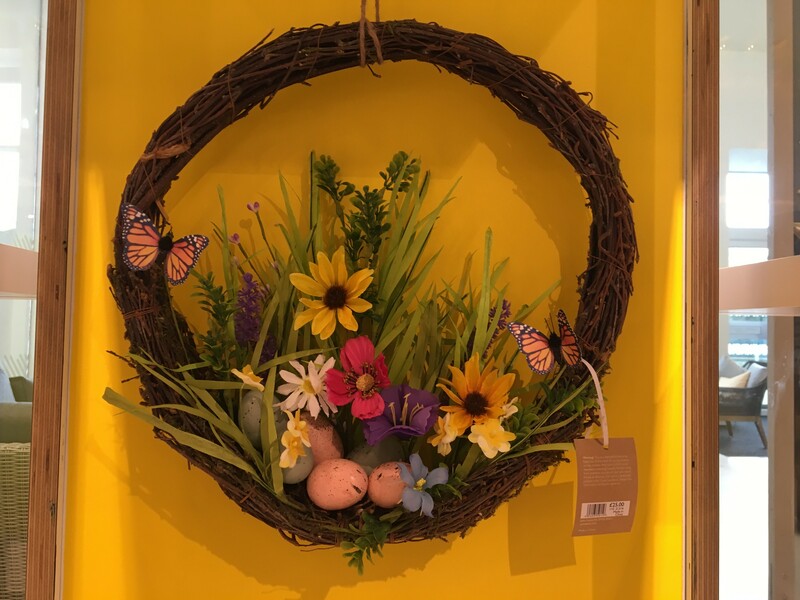 Here are my top picks for Easter decorations from John Lewis. 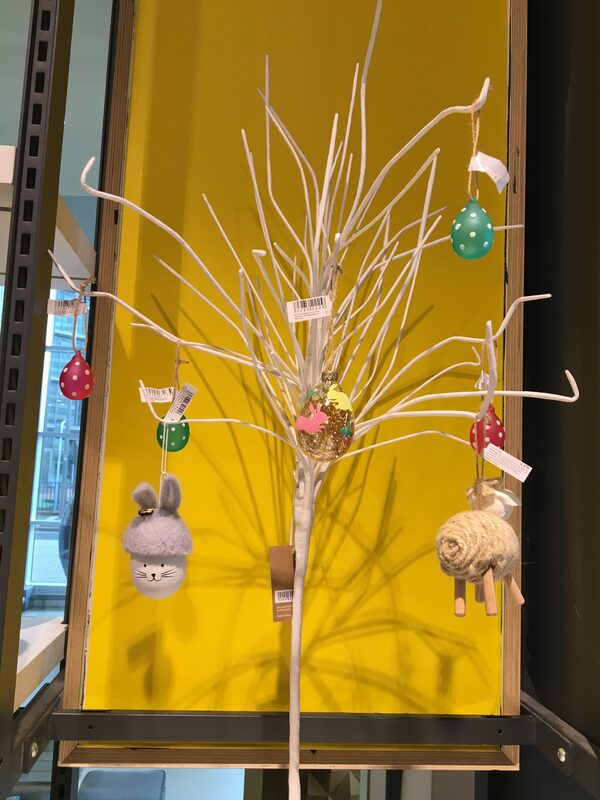 A great base for decoration that packs a punch and that you can move from room to room is an Easter tree. 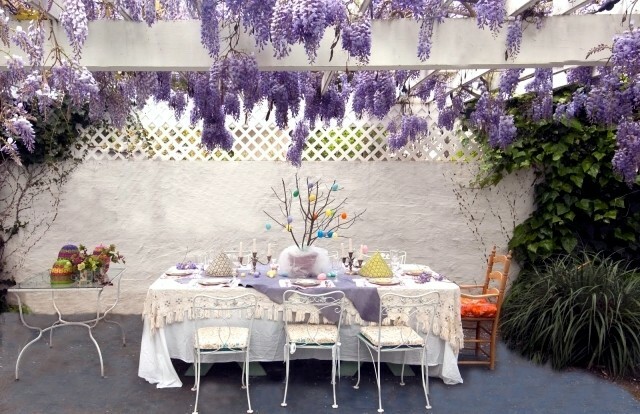 I love this one – you can move the branches around, put decorations around the base and hang some eggs from the branches. 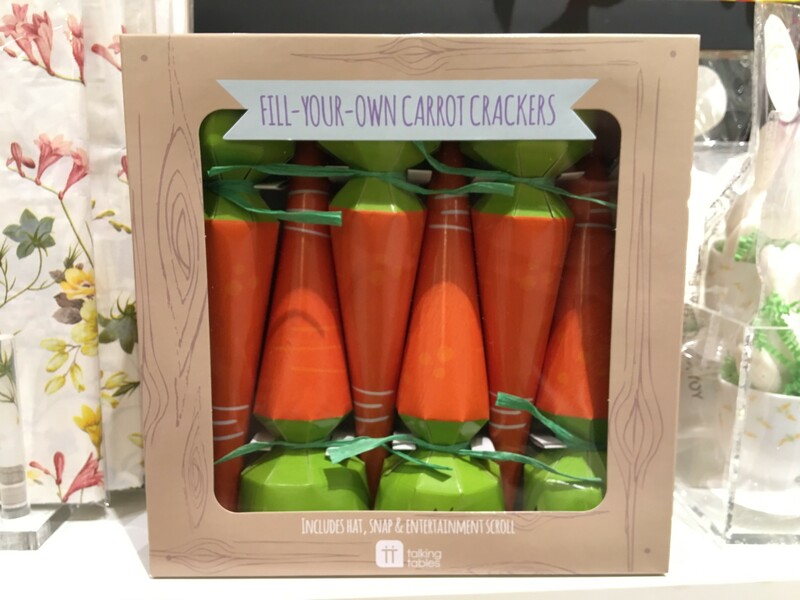 These are very sweet and the bright orange would really add colour to your Easter table whilst also giving the kids an activity to do in the run up. 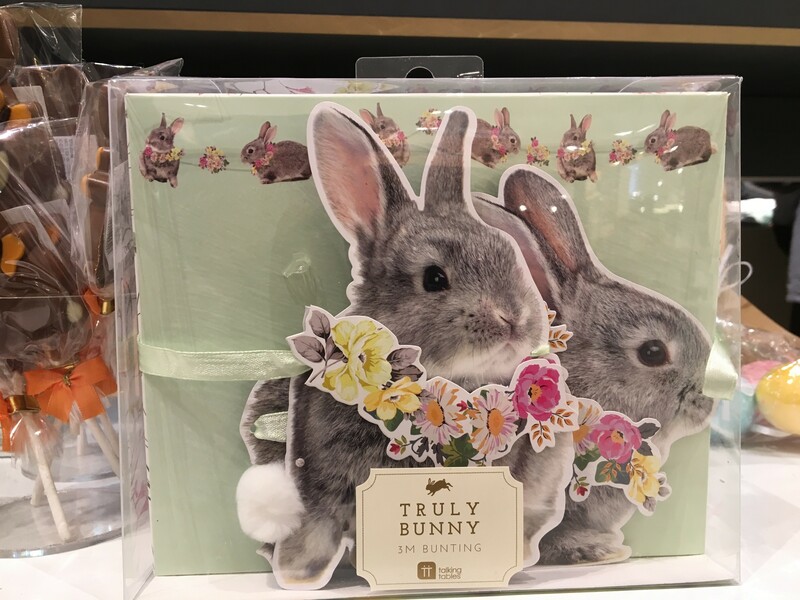 Bunnies are one of the symbols of Easter – does anyone know why? and this garland would look lovely above a window. I really wanted to buy the glass ones, but just can’t risk it. We have a kitten that jumps on the table and children that can get quite wild at times 🙂 so I opted for these ceramics ones that aren’t as delicate but are still as lovely. 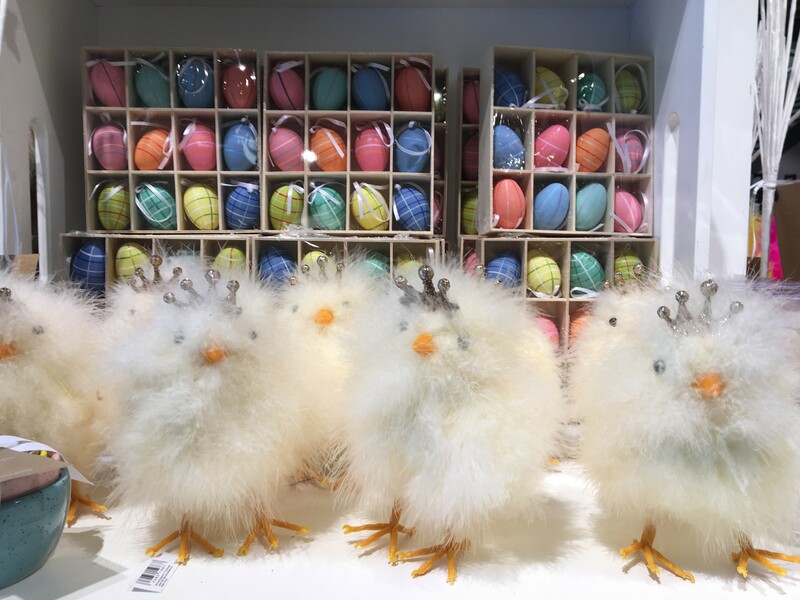 These fluffy chicks would work well along a windowsill and won’t cause any harm if they fall off! 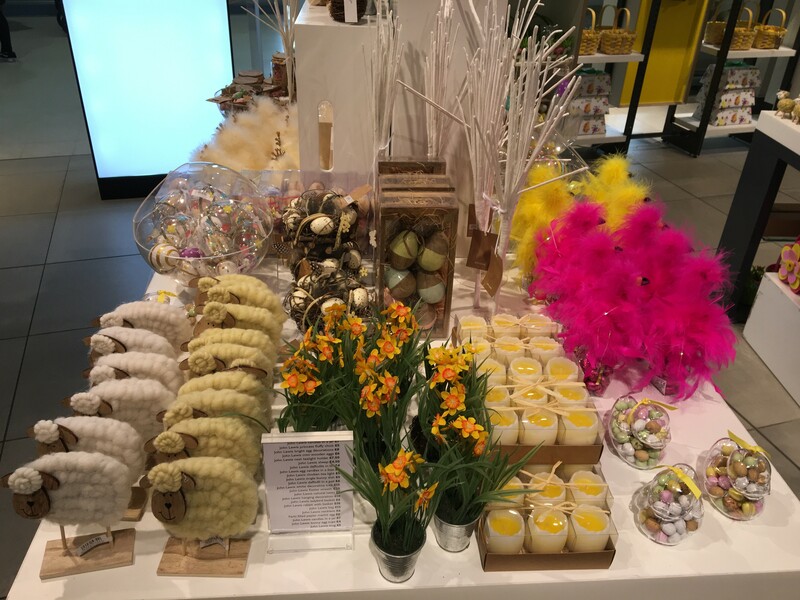 Wasn’t quite sure of the relevance of sheep other than Easter falling in Springtime, however my NZ mother would appreciate them. Instead I thought the egg yolk candles would make the table look pretty both lit or not. 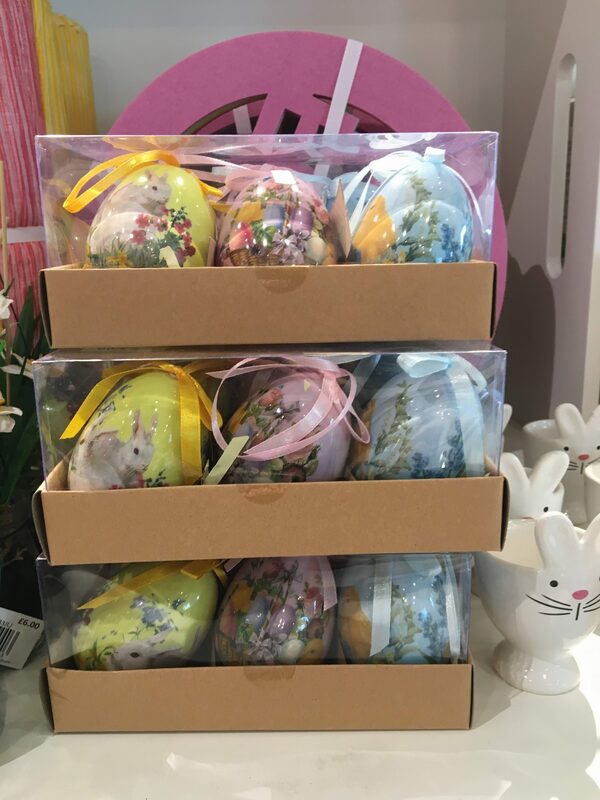 There was also plenty of options for easter eggs, Easter egg hunts and table linen such as mats, napkins and even egg cups! I quite fancy this wreath. What do you think?